Chris Korman (producer) The son of beloved comedian Harvey Korman, Chris has fifteen years experience in the entertainment industry, working with artists in various capacities, including brand building and agenting. A graduate of Lesley College in Cambridge, MA, where he studied theatre history, he received training in stage management at Colorado Mountain College under Thomas Cochran. Following in the tradition of his father, Chris has supported such charitable organizations as the non-profit ... See More Marianne Frostig Golf Tournament, which he co-hosted and served on the board for fifteen years; Keshet of Chicago, for which he served as spokesperson in 1997; and the Learning Disabilities Association of America, for which he gave a keynote address in 2017. Chris has worked behind the scenes of TV Confidential since 2016. 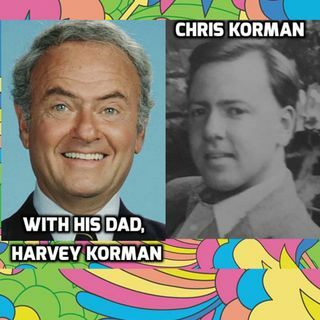 Harvey Herschel Korman (February 15, 1927 – May 29, 2008) was an American comedic actor who performed in television and film productions and was also a voice artist. His big break was being a featured performer on CBS' The Danny Kaye Show, but he is best remembered for his performances on the sketch comedy series The Carol Burnett Show and in several films by Mel Brooks. Korman, who was of Russian Jewish descent, was born in Chicago, Illinois, the son of Ellen (née Blecher) and Cyril Raymond Korman, a salesman. He served in the United States Navy during World War II. After being discharged, he studied at the Goodman School of Drama. He was a member of the Peninsula Players summer theater program during the 1950, 1957, and 1958 seasons.